When we started to see Camels we knew the conditions were getting harsh! The sleep last night was pretty average for us all, due to no breeze and the heat built up in the brick buildings just makes life horrible and sleeping outside was not an option due to the overflow of prisoners that were brought in late last night. We bid farewell to our hosts and the Germans tourists were loaded into the back of a canvas covered Hilux ute along with a couple of guards and we were instructed to stick close behind and follow. This was to become the standard way of traveling for us during our stay in Pakistan. As the morning progressed we stopped at various military check points and the guards were changed as we passed through different precincts on our way to Dalbandin. 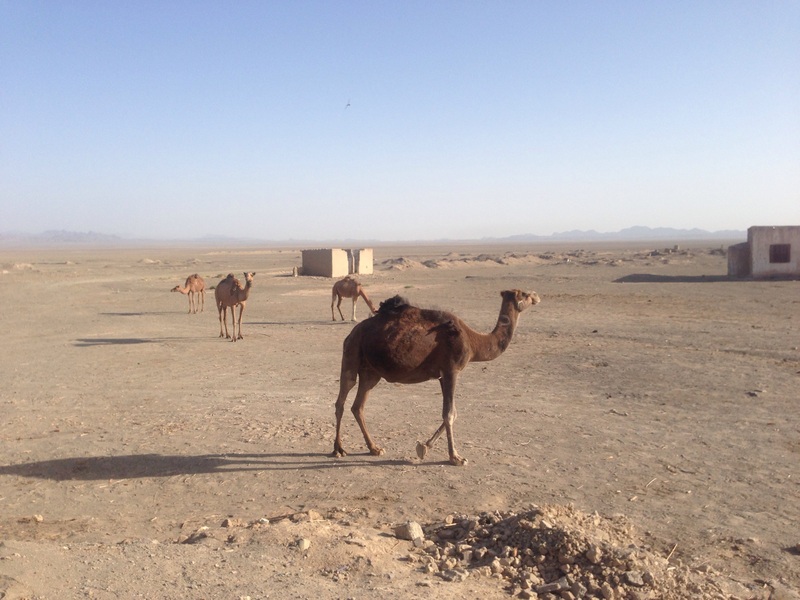 During our ride this morning were came across our first sighting of wild camel’s, so we knew we were getting into serious desert country and the heat and boredom certainly confirmed this. 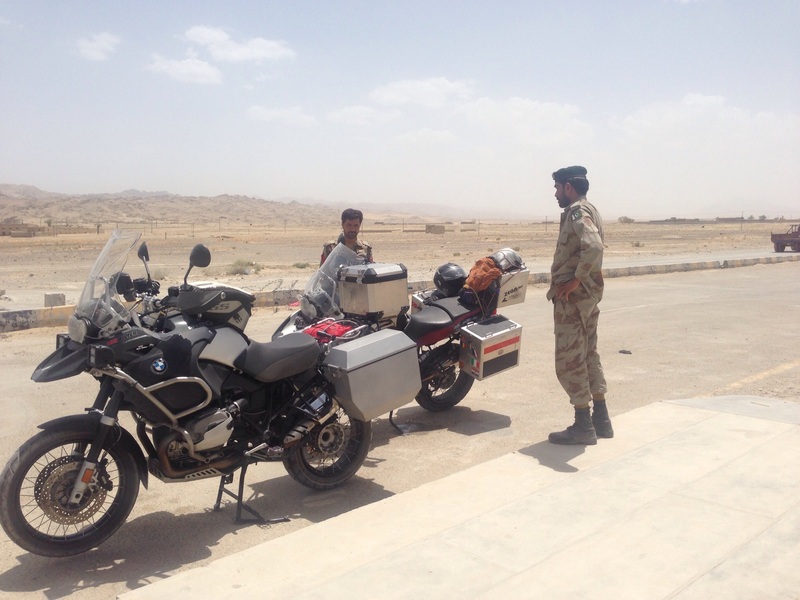 Stopped at a Pakistan military check point in the desert. Looks hot? Yes it was. 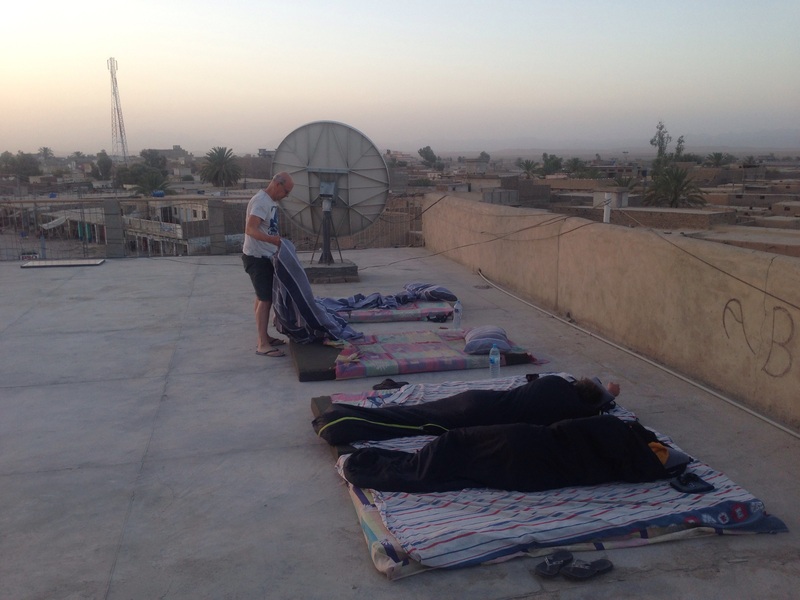 We arrived at a secure hotel in Dalbandin hot and tired, along with the German’s. 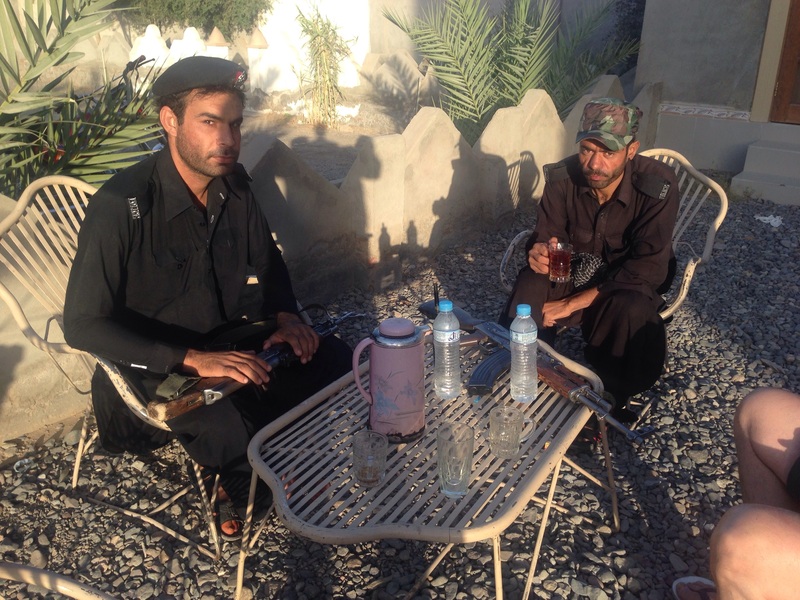 We had two guards assigned to stay with us for the night and it is customary that we pay for their meals while we are being guarded. That evening we were not going to be caught out by the heat of the room again and followed the guards lead and took the option of sleeping on the open roof of the hotel despite having paid for the best room in the hotel.